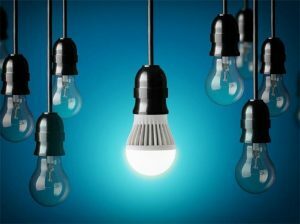 For those that have smart homes, they are already enjoying the benefits of energy-efficient lighting. The question is, are they getting the best that this lighting control system that is based on efficient lighting has to offer? One of the problems that many people run into is thinking that all of the LED light bulbs are the same. Based on this they will look for those with the lowest prices. This type of lighting comes down to quality, and quality makes a significant difference in getting the best from what it has to offer. Some people feel that LED lighting is too expensive. To save money they may not replace a LED light bulb with the same type. They may go for a cheaper type light bulb. While it is true that they cost more, they often last longer and produce much superior lighting. There is a great deal of flexibility in the different manufacturers of this type of lighting and what they have to offer. Rather than buying all the lightbulbs at once, it is wise to buy one or two. Then check them out and compare them. So many people have smart lighting systems built into their homes and only use a fraction of what it can offer. At first, it may be a novelty at being able to control the lighting in a room, but it soon gets forgotten about. The lighting can be automatically controlled for each room as needed. There is also an option for setting the lighting on one specific setting that will remain that way. It is worth taking the time to go room by room and making the decision as to what one wants to do. This way they are getting the best of what their lighting system has to offer and will be able to capitalise on its energy efficiency.